I’ve always been interested in the history behind happenings, I’ve always had a hankering for origin stories. I tend to always rally around and root for the villains, who almost always enact some kind of curse. Perhaps my perspective on curses comes from the fact that I suffer one every month, “The Curse of Eve,” so it’s called, or that curses come with their own culture. One curse that I can’t wait to come is that of The Backwoods Massacre. 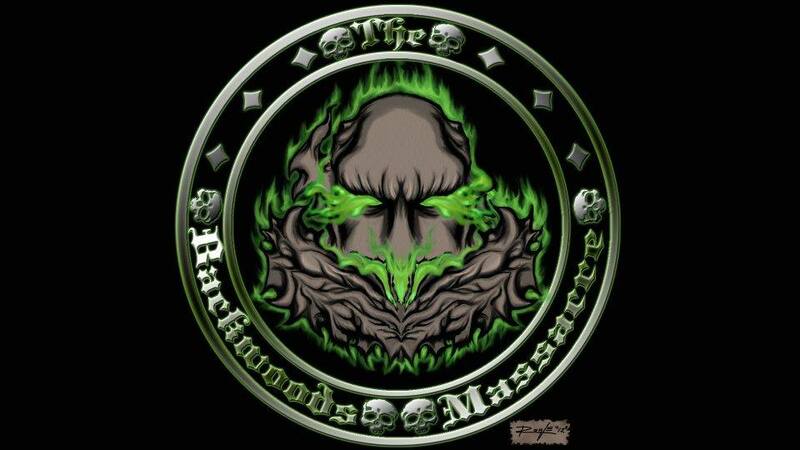 A heavy metal band hailing from Elkins, W.V., The Backwoods Massacre are putting together a musical plague. The band – Dan Elmore on Vocals, Chris Reynolds on Drums, Henry Thompson on Guitar, and Sam Parrish on Bass, are slaying the local scene. Ranked # 1 on Reverbnation, they play “a fusion of 80’s and 90’s Death and Thrash Metal with the more melodic European styles.” They have all the elements to conjure up some calamity – they play with an Earth-shaking fire that will blow you away and leave you thirsty for more. The Backwoods Massacre are loud, but also looming. They’re in your face, but also the growling in the woods, the shriek from afar. When I started my StageCouch Concert Series, they were the first band to get on board, and I’m happily opening the series with their onslaught. Their debut album is sure to be an unbreakable hex that will wreak havoc on the local landscape, as these boys always bring the blight, their art is an affliction. Some cultures conceive curses as only being cast by a Sage or Rishi, others believe in foot track magic – that a curse is activated when the victim walks over a certain object. Some believe that witches can bring woe, for others voodoo is valuable. The evil eye is a common curse, there are sports curses, Biblical curses, the belief that the Hope Diamond brings about death. One thing’s for sure – when it comes to The Backwoods Massacre, the curse is coming, and I don’t want it to be broken.